Now since we are in the final hours of the year we have lived and blogged, over hundreds of topics, have shared our views on variety of things that directly and indirectly affected us, in the hinal few minutes of this year that is still going on, I would like to wish the readers of this blog, a very happy and a prosperous new year ahead. 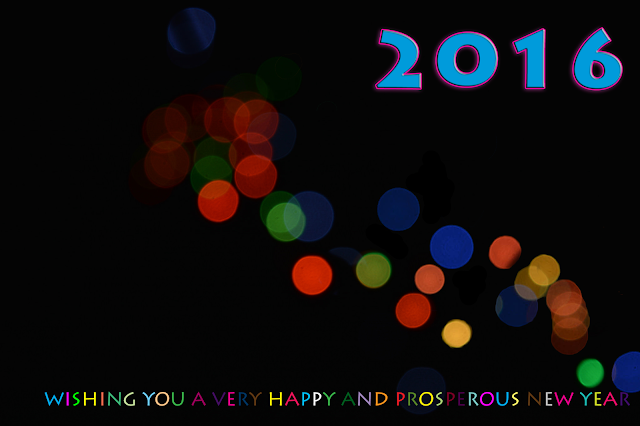 Wishing you all the good luck and a happy life ahead for the year and the years to come. Once again, a very HAPPY NEW YEAR!